There are many online and offline static site builders to help you building a site in minutes. 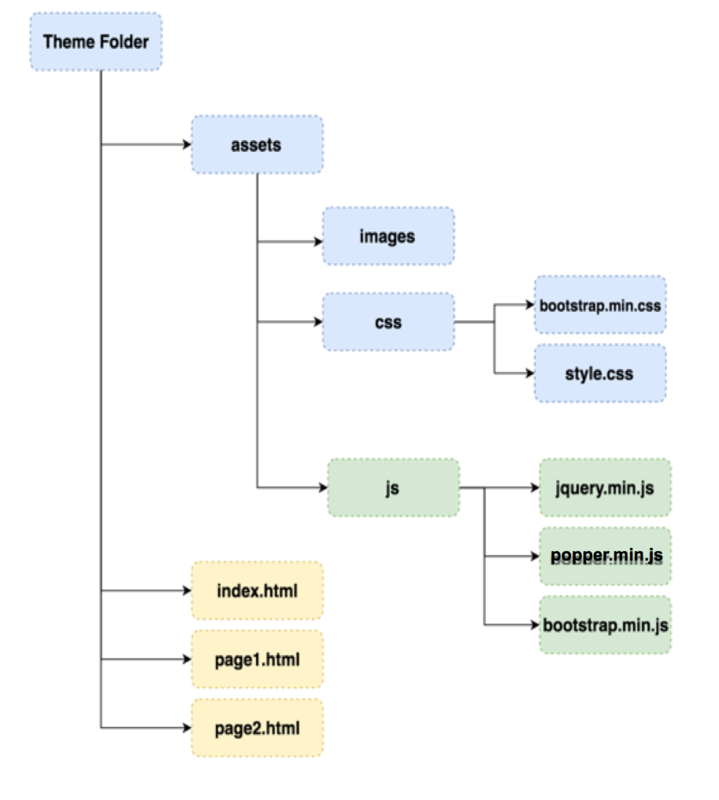 Most of these site builders basically use one of the existing frontend frameworks. Frankly, you don’t need to rely on these site builders and start building your own site and themes directly with frameworks like Bootstrap. In this article let us explore more on how to create Bootstrap 4 theme from scratch. You can view the demo of theme what we are going to create in this tutorial. Further sections are explained with dummy content and images, ensure to replace them with your own content. Navigation bar to show menu items. Let’s build our theme from scratch now. You can also host the Bootstrap files on your server and replace the CDN links with your own. 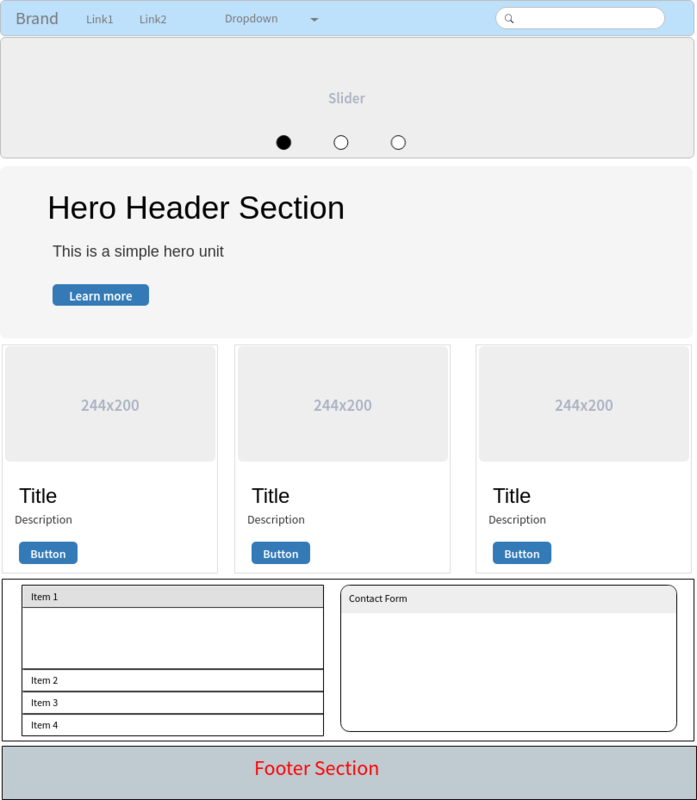 We are using Bootstrap version 4 for building our theme. Save the starter template as “bootstrap-theme.html” to your local computer and open the file using your favorite text editor. We recommend using Notepad++, Brackets or similar text editors for easy editing. This menu should be changed to a hamburger icon on smaller devices. Insert the default navbar component code by modifying the dummy content with your own just below <body> tag. Remember this is our first component on the theme, hence ensure to add the code just below the <body> tag as a first item. Below the navbar let us insert the standard carousel component with image caption and description. We made the images full width by adding inline style “width=”100%”;”. Otherwise ensure to use the larger images which will be fitting to the width of the device. Navbar and carousel will be overlapping. You should use correct image height or use custom CSS to adjust the overlapping. In this example we simply add two line breaks <br><br> below the navbar to get the gap adjusted with the carousel. We make the background white and adjusted the properties of default jumbotron with custom CSS like below. Add the custom CSS between <head>….</head> tags. Bootstrap 4 has a beautiful card component to showcase featured sections with image, title, description and a button. Let us showcase three products using deck card layout like below. Below is the code for card layout which should be added just below the hero jumbotron component. You can add “Add to Cart” or “Buy Now” button code from PayPal or any other payment processor on the button element to collect payments from users. Here is the content for the first section. Here is the content for the second section. Here is the content for the third section. Contact form is created with default Bootstrap 4 form component with name, option to choose from the dropdown, a textarea to enter comment a submit button. Finally let us add a full width footer using fluid jumbotron. Now your Bootstrap 4 template is ready, let us spice up with some custom CSS. Add shadow effect to button, collapse and cards with an additional CSS class “.btn-spl”. Add some margins to the menu items with the class “.outframe”. Add divider to headings using “.title” and “.title span” classes. Adjust the overflow of the body and margin of the cards for better alignment on smaller devices. Putting together all the custom CSS and the components the final single page Bootstrap 4 template should look like as shown in the demo here. This template is fully responsive and you can download the full code below. We have added a favicon link, meta description and title for your page in the header section. You can further add Google Analytics and advertisement code on the page as in the demo page. You can continue adding as many as pages and modify the links on the navbar component. Once all the pages are ready, just upload them in the desired folder on your hosting server. Note, when you hosting precompiled files on your server, use “bootstrap.bundle.min.js”. This bundled version includes popper script, hence you don’t need to include “popper.js” in the template. Checkout the Bootstrap 4 demo site having a full width and full page parallax sections and the two column layouts. The possibilities are infinite and you just need to spend few days of time to build your own theme or site. Bootstrap 4 framework is more powerful than the previous version 3. When you are planning to build independent themes, it’s time to learn the tricks and start your own theme business. Even for the customizations you don’t need to spend too much of time. There are hundreds of free UI kits available on the net to make use for the customization of components to add professional look for your theme.